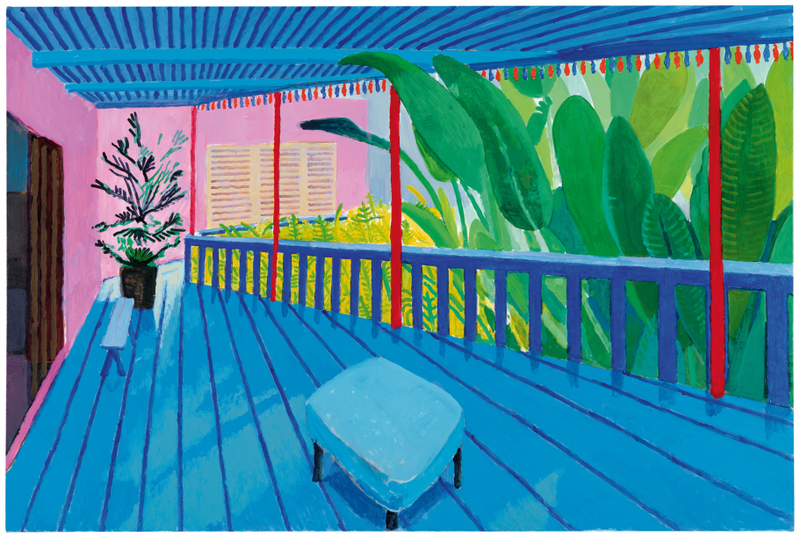 David Hockney is one of Britain’s most popular artists, Devas Designs caught up with his latest exhibition at Tate Britain and what a fantastic show it is. It covers six decades of his work from London in the 1960’s, his swimming pool era in Los Angeles, and landscapes of his hometown in Yorkshire. What stands out so clearly is his depiction of colour and light which we can use as inspiration for our own interiors. Inspired by his colour themes and swimming pool paintings, why not choose your own combination of Hockney coloured tiles using Johnson’s clever ‘colour genie’, which makes it so simple to get the look. Try the 'colour genie' for yourself by clicking here. 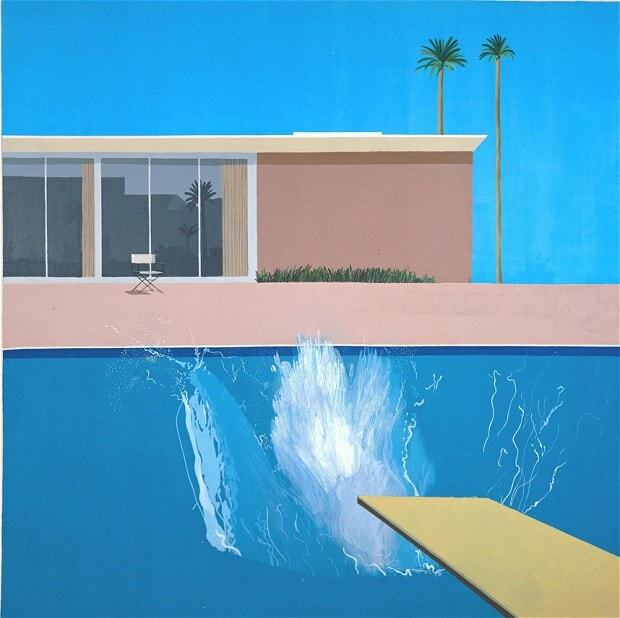 Here's our own colour genie result, drawing inspiration from Hockney's swimming pool paintings. 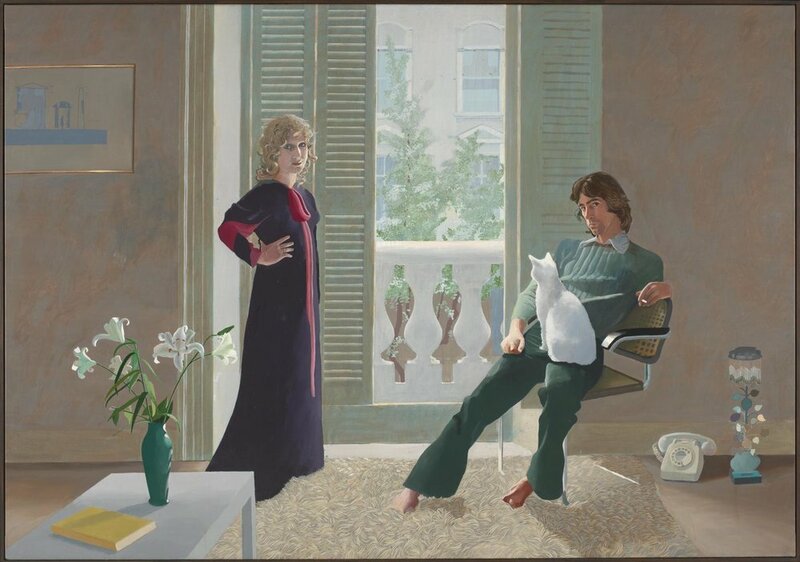 Many of Hockney’s paintings depict friends and family in domestic settings which gives the work added poignancy such as the touching painting of his parents below. Sofaworkshop pride themselves on providing the ‘best of British’ craftsman made sofas, their latest collection includes sofas and chairs in vibrant and pastel colours which reflect Hockney's domestic scenes. If you simply want to ring the changes, take a look at this dazzling array of bright silk or velvet finish cushions from the John Lewis range. At just £25 each you can create an immediate pop of colour for an instant ‘Hockney makeover'! Changing cushions and accessories, seasonally, or as the mood takes you, is a fun and inexpensive way to shake up your interiors and give your home a whole new feel. 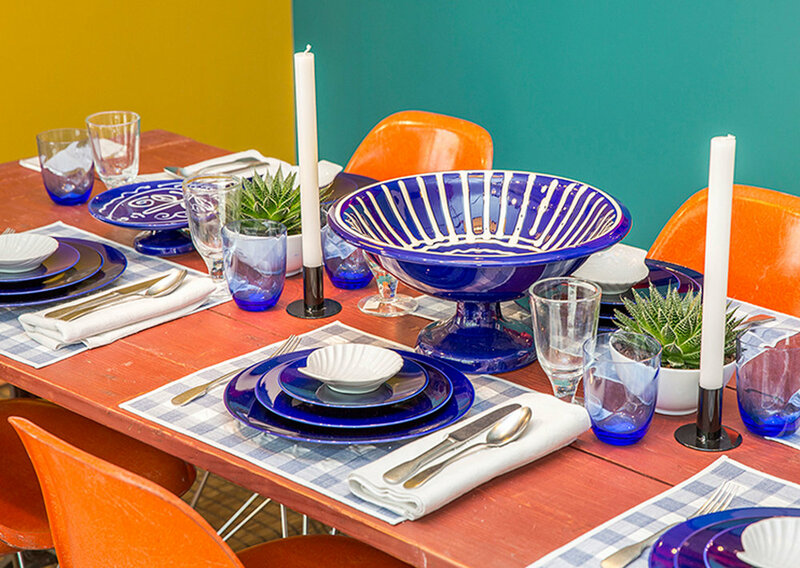 The Conran Shop is always a source of great ideas. Jasper Conran, who took over the helm in 2012, has a number of colourful solutions which include mixing colours to break away from a uniform look. It doesn’t just have to hinge on ‘eye popping’ colours though. 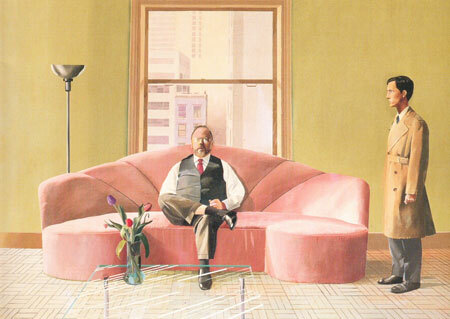 A softer approach using pastel hues and elegant flower arrangements are reminiscent of the cool interior of Hockney’s Mr and Mrs Clarke and Percy. He has painted this colourful couple relaxing in the cool interior of their Notting Hill apartment. 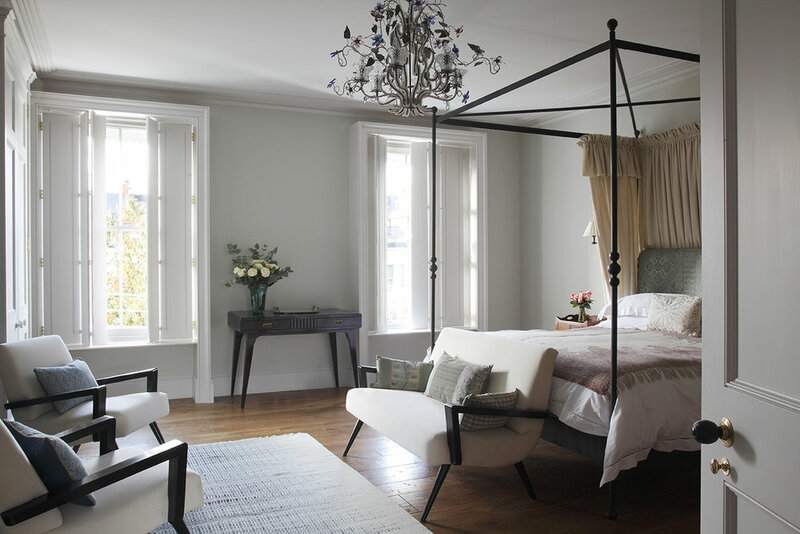 The painting immediately brought to mind the West London townhouse designed by Devas Designs, shown below. ... And don’t forget to create your own green oasis, where you can escape the hustle and bustle of the city and relax, as we did here for a London client. If you want to add temporary colour to your own garden or balcony try a simple row of coloured plant pots with brightly coloured flowers or cactus inspired by Hockney’s garden paintings. David Hockney at Tate Britain is on now until 29 May 2017. Find out more here.